Clip-in hair extensions are ideal for daily use or special events – this popular method is easy to apply and requires minimal care. You can easily apply them and wear them whenever you like. These clips do not slide down: it ensures optimal hold. With our top quality 100 % Remy human hair extensions and proper care, these can last between 6 to 12 months. 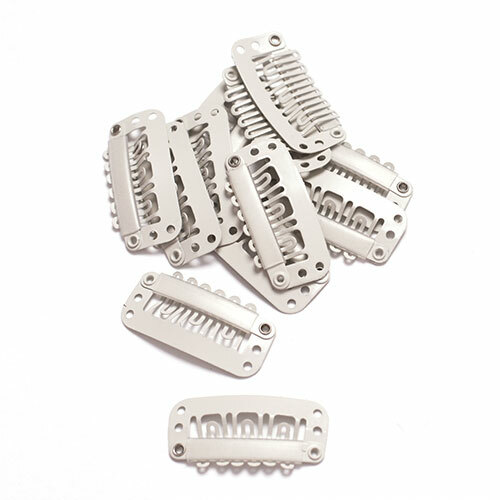 Available in lengths of 18 and thickness of 100 g.
Our clip extensions have 8 strips of different widths.